RCW 38.52.010 states that “continuity of operations planning means the internal effort of an organization to ensure that the capability exists to continue essential functions and services in response to a comprehensive array of potential emergencies or disasters” (House Bill 1047). It is required by law (RCW 38.52.030) for all state agencies to develop a continuity of operations plan that is updated and exercised annually. These plans will then be used to determine services that are necessary to maintaining critical functions. Each department, unit, or division must prepare and complete its own continuity of operations plan. Once completed, the department should ensure the plan is updated and exercised at least once annually. 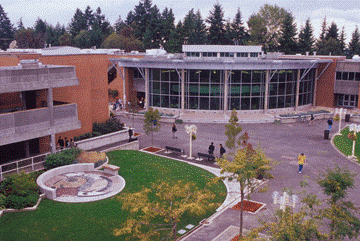 Bellevue College will use the information in this plan to determine the support services and functions needed to maintain critical College functions. Completion of this plan should be done with input from the department’s staff and faculty to ensure accuracy. The template is designed to be expanded or shortened based on department specific needs. If your department contains sub-departments, it is essential that each sub-department completes a continuity of operations plan that will then contribute to the parent department’s overall continuity of operations plan. Once completed, the plan should be given to the Director or Dean of the department, and a copy should be submitted to Bellevue College’s Emergency Management Team. Note: Mission-critical or essential operations of a unit are defined as those functions that must be maintained and protected due to their critical nature no matter the type of emergency is affecting the College. Note: In an emergency, the Dean or Director may delegate tasks to their employees to ensure essential department functions are sustained. It is recommended for the Dean or Director to maintain an updated list of employee contact information. Currently delegated employees may not be available following a disaster, so the Dean or Director may delegate tasks outside of an employee’s regular job description during these times. Note: Department essential functions may change based on the amount of time the department is affected by the emergency. The department will be determined affected if they have not returned to fully operational. The tables below list the department essential functions when closed for particular periods of time. Can these be provided using an alternative method? If so, identify the method. Use the table below to list department essential functions and who will be responsible for ensuring that they are accomplished. Note: Delegation of Authority will later determine the person responsible if those listed in this table are unavailable at the time of the emergency. If absentee rates approach 50%, it may not be possible for a department to maintain those operations identified as first priority. Cross-training employees and restricting operations under these circumstances should be considered. Identify measures the department will take to inform employees of the essential nature of their position and what unit expectations are regarding their duty to report to work during an emergency. Identify measures your unit could take to assist essential employees in fulfilling their duties in other departments. Use the table below to identify critical resources and what functions they are necessary for. Note: it is important to consider items such as fax machines, copiers, scanners, computer programs, etc. that are critical to maintaining department functions. Can these supplies be stock-piled? If your department will require resources from other internal departments, list those resources and the department who will assist you in the table below. Note: It is important that you contact other departments that you will need resources from to achieve your mission essential functions. What buildings will need to remain open? What critical equipment will your unit need to remain in service? What critical equipment or materials would need to be moved to consolidate in another building if your offices cannot remain in their current location? Are all hazardous materials safely and securely stored? Ensure that hazardous materials are segregated by hazard class and that secondary containment is provided if needed. List all contractors or vendors that your department relies on to provide services that are not provided by internal College departments. The table below should list all essential functions and what is needed to restore that function to full capacity. Once it is determined that the College is in the recovery stage of a disaster, departments will begin their restoration beginning with these pre-determined essential functions that are listed in priority order. Note: All units should consider recovery procedures carefully. Resources and personnel may not be fully available immediately following a disaster. Depending on the specific needs of each unit, a detailed recovery plan may be recommended.